The new Sheetz that was planned to replace the older building at the Shiloh Road exit is on hold and may be downgraded pending a potential traffic study. The new Sheetz that developers hope to build at the corner of Benner Pike and Shiloh Road would be the first of its kind for the Altoona-based convenience store company, with a walk-in beer cooler, a drive-thru and restaurant feel. But due to a potential traffic study, the project may need to be downgraded. “If it is looking like we will have to do a traffic study and go through the PennDot process, what I am probably going to end up doing is significantly reduce the scope of the project,” said Sheetz representative Brent Brubaker at the Sept. 20 College Township meeting. He added the original plans for the project “are the latest and greatest prototype” for a Sheetz store and something that he would still like to do, but not if a traffic study is needed. The original plan for the Sheetz would have more of a restaurant feel, said Brubaker, with seating that would be incorporated into the store near the order and pick-up area, and the walk-in beer cooler. He said the company is in the process of attaining a license to sell beer and would like to include it in the store as well. “Our intention is, you know we have been here for 16 years with this store and we feel that although it is a 1,400-foot increase, a lot of that is in seating, larger bathrooms in the additional area,” said Brubaker. He said the company does not want to go with a traffic study for the project and it has a smaller footprint that would have a drive-through they can use if that would be the case in order to avoid it. 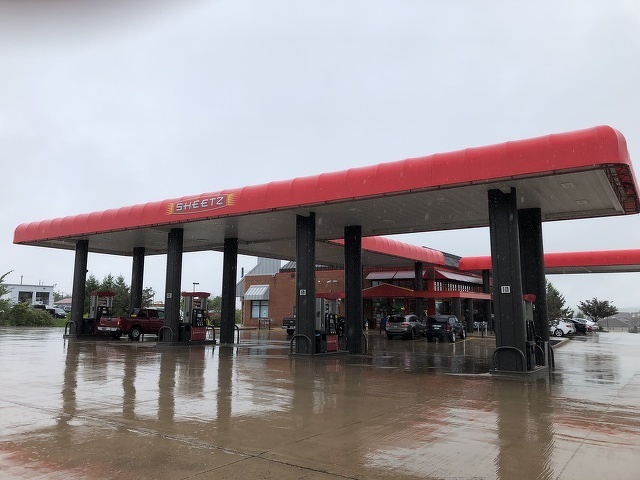 Borough manager Adam Brumbaugh said a recent change in a national code standard that would classify the new Sheetz as a super-convenience store might be reason that the borough would like a traffic study completed for the project.